was established in 2002 by Yvette Garcia "La Sole" from Andalucia, Spain. 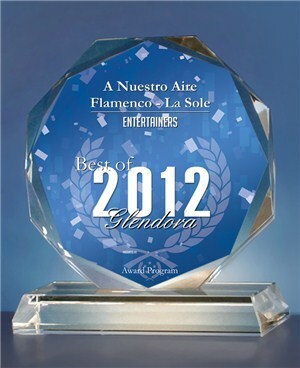 La Sole Flamenco is the only dance company in the greater L.A., O.C & I.E. under the direction of a true professional & internationally recognized award winning dancer, instructor, choreographer and performer from Andalucia, Spain. The dancers come from various backgrounds & have dedicated thier time & talent to the art of FLAMENCO. This professional dance company has appeared at some of Southern California´s most prestigious venues including: NOHO Arts Festival, Fontana Arts Festival, L.A., O.C., San Diego & San Berardino County Fairs, L.A. Music Festival, Disney Music Days at Disneyland Resort, San Diego's Balboa Park, Downtown Disney, Spanish Consulate & Spanish Clubs of Southern California, City of Azusa, Fontana & Covina Festivals, Asian Expo, Lunar Festival, Cal-Poly University, Citrus College, Mt. Sac, Cal State Dominguez Hills, Children's Museum, Museum of Tolerance L.A., Flamenco Clubs & Tablaos including, Alegria's -Long Beach, Las Palmas -San Dimas, Tinto Tapas España -Hollywood, Spain Restaurant -L.A., Cafe Sevilla -Riverside & Long Beach, Zona Rosa -Covina, Montage Resort, Luna Negra -Pasadena, Coco Palms & Tapas-Pomona & Utopia just to name a few. Concerts, Weddings, Special Events, Corporate Functions, Non-Profit or Political Events, Fairs, Festivals, as well as School (Educational) Workshops or Lecture/Demos. La Sole Flamenco pronounced WINNERS 3 years in a row -by the cheers of the crowd of over 800 people at the 2010, 2011 & 2012 Feria de Abril in Long Beach on as Best Flamenco Dance Company presenting original Sevillanas Choreography. 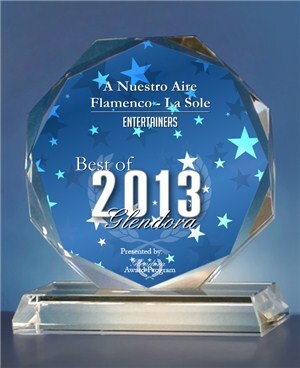 La Sole's Dance Studio & Dance Company won all 4 dance prizes each year. "Clean Sweep" OLE!! La Sole Winner of Bulerias con Aje Dance Contest -Sanlucar, Cadiz Spain. 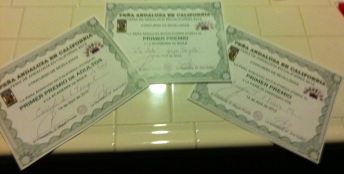 La Sole -the only Professional Flamenco Dancer/Instructor/Choreographer in Los Angeles, Inland Empire & Orange County who is from Andalucia, Spain.